If you are planning interior demolition or renovation and suspect the presence of asbestos, it’s time to call in professional help. Slight disturbances in the asbestos material and surrounding areas can create hazards where none existed if not handled properly. 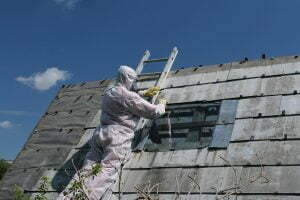 Banner Environmental Services possesses a trained, professional team of technicians whom are licensed, insured, and equipped for safe, thorough asbestos remediation. Serving all of Rhode Island and Massachusetts including Greater Boston, Cape Cod, Martha’s Vineyard, and Nantucket. Asbestos has been widely used in many building products because of its tensile strength and chemical and thermal resistance. Unfortunately, asbestos is carcinogen that causes lung cancer and mesothelioma. This makes it extremely hazardous to workers handling it, and if it is handled improperly and gets into the air, it can be hazardous to the population. Due to the hazard, strict regulations and procedures have been enacted to prevent asbestos exposure. That is why asbestos abatement is not a DIY project and professional remediation services are needed.